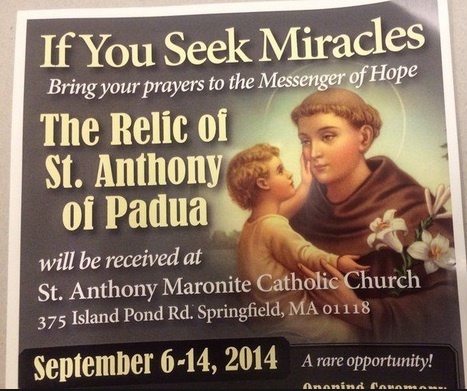 In Pittsburgh Pensilvania, Catholics bow before a tooth of St. Anthony of Padua, and more than 5,000 other verified relics. 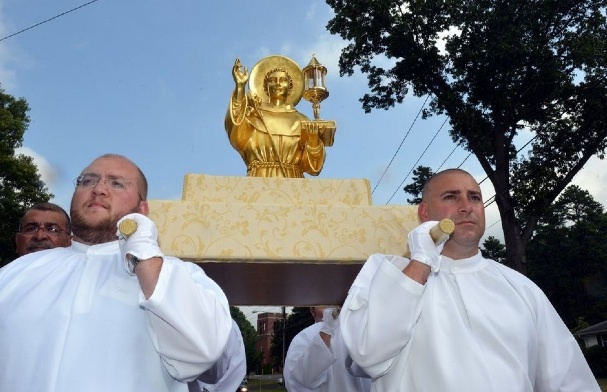 A devouted Roman Catholic in Pittsburgh, US, kiss the container holding a 750 year old tooth. Nestled in a sleepy neighborhood in the hills rising over Pittsburgh lies a small chapel. Inside St. Anthony’s Chapel lies a piece from the Crown of Thorns, a tooth of St. Anthony of Padua, and more than 5,000 other verified relics, or remains, of saints from around the world. 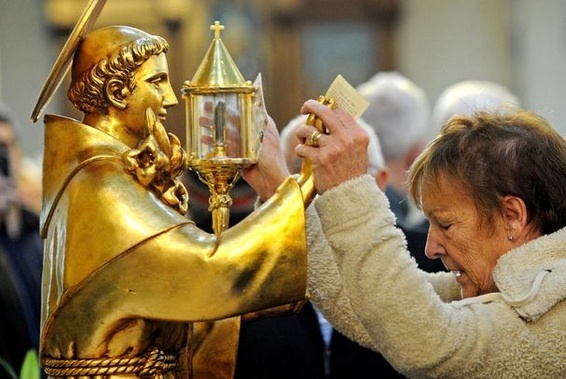 Worshiping created items, and expecting miracles. 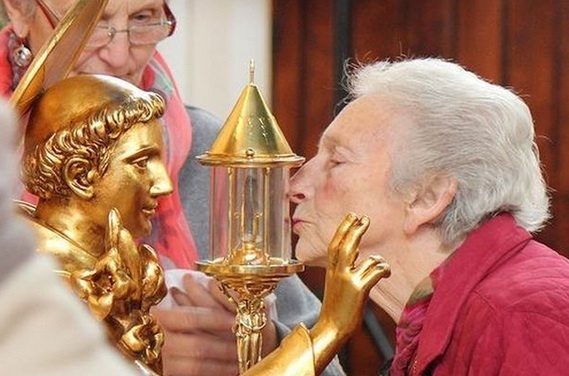 Holding on to a tooth, and an idol of gold portraying of a mortal man, praying for a miracle. 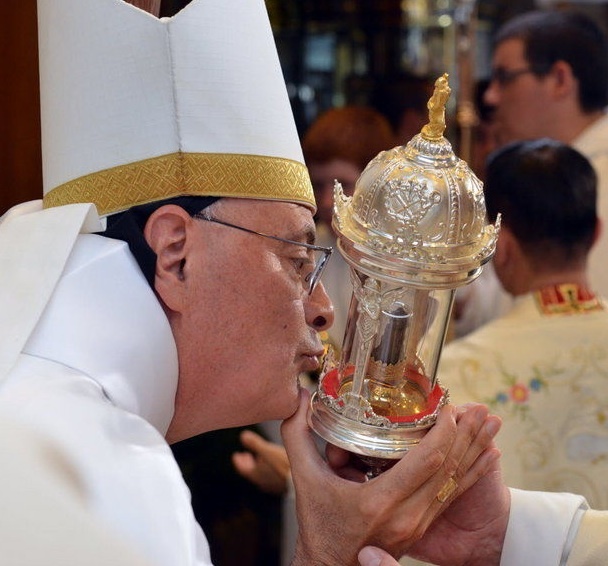 The Bishop bow in worship, and kiss the container with the tooth. 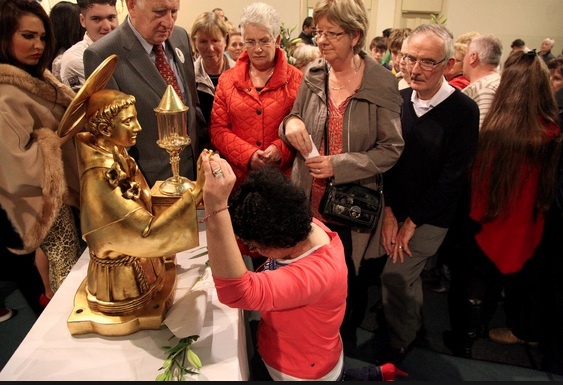 Another golden calf. 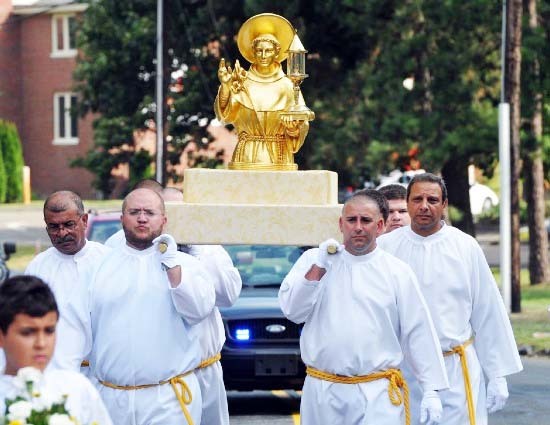 Catholics carrying their idols of gold and a tooth on their shoulders. You are corrupt and apostate if you accept these men as Christians. A message to american patriots…..